We got to dip our toes in the ocean and walk in the sand just last month, but oh how my soul misses the beach! 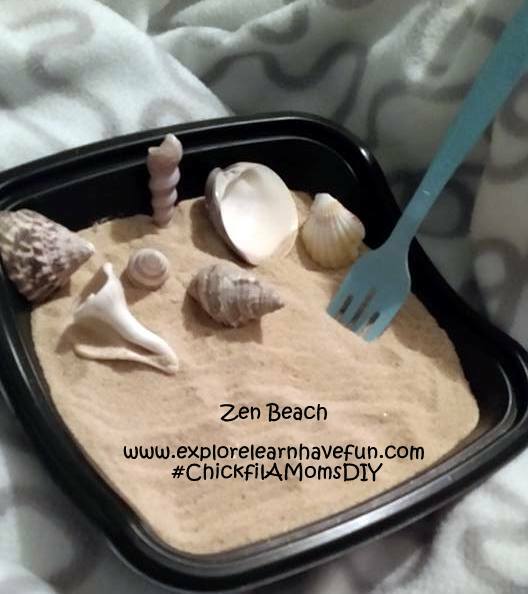 So this week, I made a portable Zen beach that can help us get a little bit of that beachy feeling right here at home. I started out with my empty Chick-fil-A Spicy Southwest Salad container. I washed it then let it dry, the top included. While it dried, I used some paint to cover the Chick-fil-A fork in two coats of aqua. It is my beach "rake" for keeping the sand just right in my little beach. Once everything dried, I added some leftover sand from a science experiment into the salad container. Finally, I repurposed some shells from my shell hurricane project to add to my project. It turned out exactly like I wanted! When I need a break, I can take a few minutes raking the sand, or scooping sand with the pretty shells, and let my mind drift back to fun days spent in Florida. This quick project was just what the doctor ordered for my beach blues! 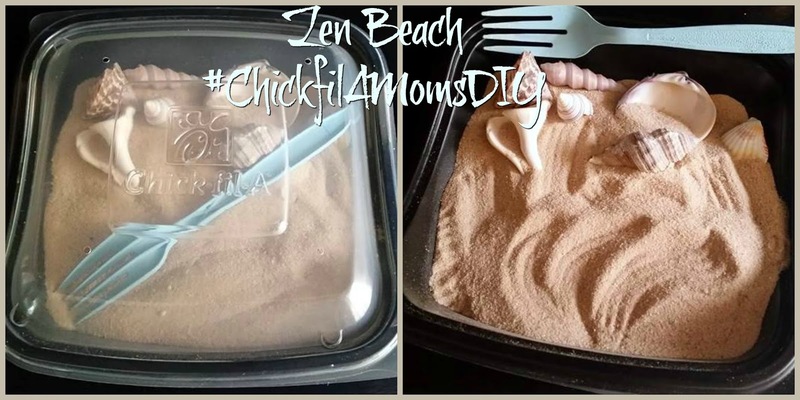 Just follow the easy steps above and you'll be dreaming of the beach in no time! Before you go, please check out the two giveaways I have from earlier this week!